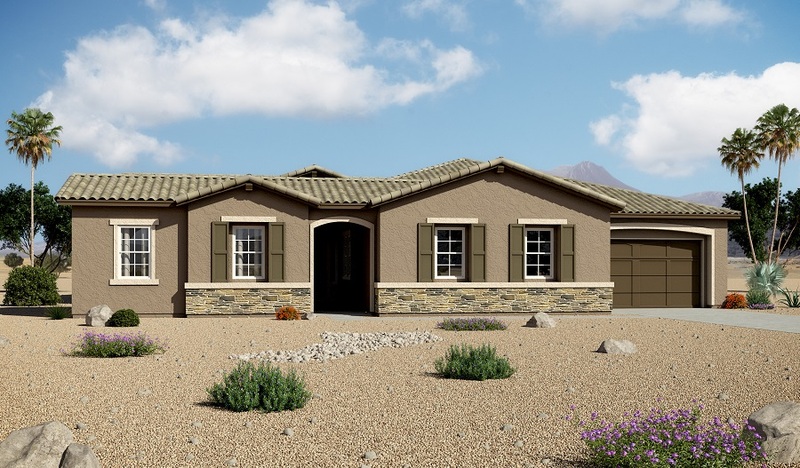 This ranch-style new home has so much to offer! A guest suite is conveniently located right inside the entry, complete with a walk-in closet, private bathroom and access to the courtyard. The foyer leads back to an expansive great room with a contemporary fireplace; a nook and a formal dining room are adjacent. The gourmet kitchen is steps away, and showcases Epicurean stainless-steel appliances, maple cabinetry, a walk-in pantry, quartz countertops and a center island. The lavish master suite offers a wet bar, elegant tray ceiling and attached bath with stainless-steel fixtures, a luxurious spa shower and a free-standing tub. You’ll also find a study with attractive French doors and a laundry with a sink and cabinetry.